It is a native of the Mediterranean but is now also cultivated in India, USA, Japan and Great Britain. It has been cultivated since ancient times in Japan and China. Evidence of use was found in Egypt in a tomb dating back from 1000 BC. Peppermint is a perennial herb that grows up to 1 meter (3 feet) high and has slightly hairy serrated leaves with pinkish-mauve flowers arranged in a long conical shape. Peppermint is commonly known from Peppermint tea, chewing gum or candy but the essential oil is much more strong and concentrated and should be used in moderation, very fresh and clean smelling. Chemical constituents: Peppermint oil has various chemical compounds that include Menthyl Acetate, Menthone, Cineole, Limonene, Phellandrene, Pinene and Beta-Caryophyllene. Extraction: It is hydro distillated by leaves and stems. It is used as refreshing, mental stimulant, energizing, used to enhance well-being of digestive and respiratory system. It is considered to be good nerve tonic that helps with mental fatigue and nervous stress. The therapeutic properties of peppermint oil are analgesic, anesthetic, econgestant, emmenagogue, expectorant, febrifuge, antiseptic, antigalactagogue, antiphlogistic, antispasmodic, astringent, carminative, cephalic, cholagogue, cordial, decongestant, emmenagogue, expectorant, febrifuge, hepatic, nervine, stimulant, stomachic, sudorific, vasoconstrictor and vermifuge. Peppermint is the ideal remedy for all digestive disorders, including nausea and vomiting. It is a great remedy for car or air sickness. In a massage, it helps in stimulating the lymph system. It is also an analgesic and aids with treating sore muscles and joint pain Peppermint may be either cooling or warming depending on the dilution used. It is an excellent headache remedy and relieves bad breath. A strong, cool, minty flavor. Has been used to treat impotence, mental fatigue, colic, indigestion, nausea, diarrhea, fainting, vertigo, halitosis and many respiratory conditions. 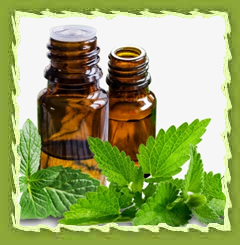 Peppermint oil is refreshing in both taste and aroma. Peppermint has a high menthol content, and is often used as a flavouring in tea, ice creams, confectinery, chewing gum and toothpaste. The oil also contains menthone and methyl esters. It is the oldest and most popular flavour of mint-flavored confectionery. Mint chocolate, also known as Chocolate mint, is a popular variety of flavored chocolate. It is created when mint flavoring, such as peppermint, spearmint or creme de menthe, is added to plain chocolate that tastes and especially smells like a combination of mint and chocolate. Peppermint tea is a drink that is either a mixture of tea and peppermint (Mentha piperita) or an infusion of peppermint alone. This drink is said to have health benefits. It is sometimes called mint tea, although there are other kinds of mint that could be used in that case. Pure peppermint tea is naturally caffeine-free and is therefore highly demanded. Peppermint is also used in making nectars which is a mild, pleasant and varietal honey.Peppermint flowers are heavy nectar producers and honeybees as well as other nectar harvesting organisms forage them heavily. Peppermint is used in different cosmetics and toiletries preparations especially in preparation of shampoos and soaps, which give the hair a minty scent and produce a cooling sensation on the skin. It is mainly useful in making specialised products like balms made of mint flavor. Lip balm or lip salve is a substance topically applied to the lips of the mouth to relieve chapped or dry lips, angular cheilitis or stomatitis, and cold sores. Lip gloss is similar, but generally has only cosmetic properties. The balm is usually manufactured from beeswax, petroleum jelly, menthol, camphor, scented oils and various other ingredients. It is also used as an additive in certain cigarette brands, for flavor, to reduce the throat and sinus irritation caused by smoking and arguably to reduce the bad-breath, smokers experience and possibly improve the smell of second-hand smoke. Commonly used in oral hygiene products and bad-breath remedies like mouthwash, toothpaste, mouth and tongue-spray and more generally as a food flavor agents. In perfumery, menthol is used to prepare methyl esters to emphasise floral notes . In first aid products such as "mineral ice" to produce a cooling effect as a substitute for real ice in the absence of water or electricity. Patchouli has been used extensively in industrial processes like the following. It is used in making detergents as it is not hard penetrating. It is used especially in making laundry detergent which is a type of detergent that is added when one is washing to help get the laundry cleaner. It is often colloquially called laundry soap and it helps wash the fabric. Laundry detergent has traditionally been a granular solid but the use of liquid laundry detergents has gradually increased over the years. Patchouli has been also used to make a scented paper towel that is a piece of absorbent paper made for the general purposes of towels but is most often used for drying hands. They are also used to apply cleaning sprays for windows and dusting. Patchouli is a pest deterrent used to keep wool moths out of Indian shawls and rugs. It is an important ingredient in toiletries, cosmetics, breath fresheners, insecticides, disinfectants, and commercial food flavoring. Patchouli is one of the most widely used ingredients in which is employed as a fragrance component in cosmetic preparations, soaps, and hair removal creams. It is mainly due to its masking effect on obnoxious odors. It is also used in burners and vaporizers, therapy as a blended massage oil or diluted in the bath. Patchouli oil can be used neat on insect bites. In a lotion or cream patchouli oil can be used for general skin care. Peppermint, like many spices and herbs, is believed to have medicinal properties when consumed. It is said that it helps against upset stomachs, inhibits the growth of certain bacteria and can help smooth and relax muscles when inhaled or applied to the skin. Other health benefits are attributed to the high manganese, vitamin C and vitamin A content; as well as trace amounts of various other nutrients such as fibre, iron, calcium, folate, potassium, tryptophan, magnesium, omega-3 fatty acids, riboflavin and copper. Peppermint oil has been demonstrated to reduce colicky abdominal pain due to irritable bowel syndrome (IBS) with an NNT (number needed to treat) but the oil is irritant to the stomach in the quantity required and therefore needs wrapping for delayed release in the intestine. Peppermint relaxes the gastro-oesophageal sphincter, thus promoting belching. 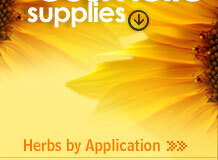 It is also used as a decongestant for reliving nasal congestion. Menthol, its main constituent, has antibacterial properties. The mint oil is used in balms and liniments to stimulate hot and cold nerve endings and increase local blood flow.